Soft Line will seek shared responsibility and cooperation from customers in reducing the environmental impact of their products. As a part of e-waste recycling initiative, Soft Line has partnered with 3R Recycler, India’s leading electronic asset management and Disposal Company to comply with E-Waste management and Handling Rules in providing environmentally sound management of end of life electronics. e-waste drop off centres and ensure environmentally sound management of electronics that have reached their end of life phase. 3R Recycler has obtained all the necessary authorizations from the appropriate governmental agencies for their processing facilities. 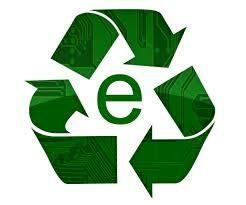 3R Recycler ensures proper recycling and disposal of e-waste. This helps us protect the environment from any hazardous consequences, which would be otherwise caused by the inappropriate waste management of e-waste. Always look for information on the catalogue with your productfor end-of-life equipment handling.